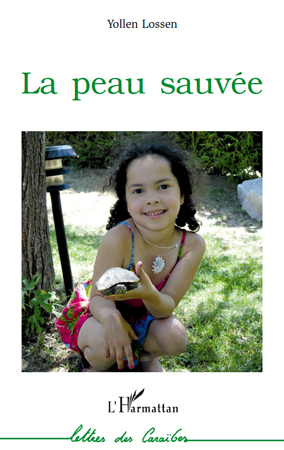 Yollen Lossen’s first novel La Peau sauvée [The Saved Skin (Editions de L’Harmattan, 2010)] is a bildungsroman set in the French Antilles. A mixed-race child in 1950s Martinique—where the degree of skin pigmentation defined social status—Marie-Chantal lives a childhood both happy and torn between two families at odds. Growing up between her biological mother and the mother who raised her, in a climate where love, jealousy, and resentment are intimately related, the narrator tells the story of how she was able to construct her identity, to find her place, and to find herself. Yollen Lossen is from Fort-de-France, Martinique. She moved to Paris, France, to pursue studies in psychology; she specializes in special services for children with disabilities. She is co-author of Musique aux Antilles (Mizik bô kay), written in 1985 with Maurice Jallier.